Geetha has also been highly acclaimed for her melodious singing skills. 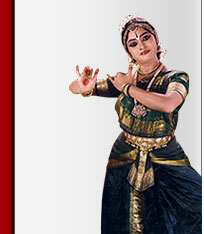 She is one of the very few Bharatanatyam teachers who does Nattuvangam and also sings for the recitals of her students. She has been trained in her childhood by Brahmasri Kollegal R. Subramanyam in Hyderabad for over four years. Thereafter she moved towards the dancing profession completely. Veteran musician Smt. Prema Ramamurthy has accompanied her to render the vocal support and also helped her with music for some of the choreographies. Having lived with Prema's music for more than a decade now, Geetha has accepted her with gratitude as her manasika Guru. Presently, she is under the guidance of Smt. Jayamani Narasimham, a noted vocalist from Hyderabad.